Using ancient proteins and DNA recovered from tiny pieces of animal bone, archaeologists at the Max Planck Institute for the Science of Human History (MPI-SHH) have discovered evidence that domestic animals -cattle, sheep, and goat – made their way into the high mountain corridors of southern Kyrgyzstan more than four millennia ago, as published in a study in PLOS ONE. Long before the formal creation of the Silk Road – a complex system of trade routes linking East and West Eurasia through its arid continental interior- pastoral herders living in the mountains of Central Asia helped form new cultural and biological links across this region. However, in many of the most important channels of the Silk Road itself, including Kyrgyzstan’s Alay Valley (a large mountain corridor linking northwest China with the oases cities of Bukhara and Samarkand), very little is known about the lifeways of early people who lived there in the centuries and millennia preceding the Silk Road era. However, Taylor and his colleagues then applied a technique known as Zooarchaeology by Mass Spectrometry, or ZooMS. This method uses laser-based, mass spectrometry to identify the peptide building blocks that make up collagen inside the bone itself – peptides that differ across animal taxa, and produce unique “fingerprints” that can be used to identify otherwise unrecognizable pieces of bone. 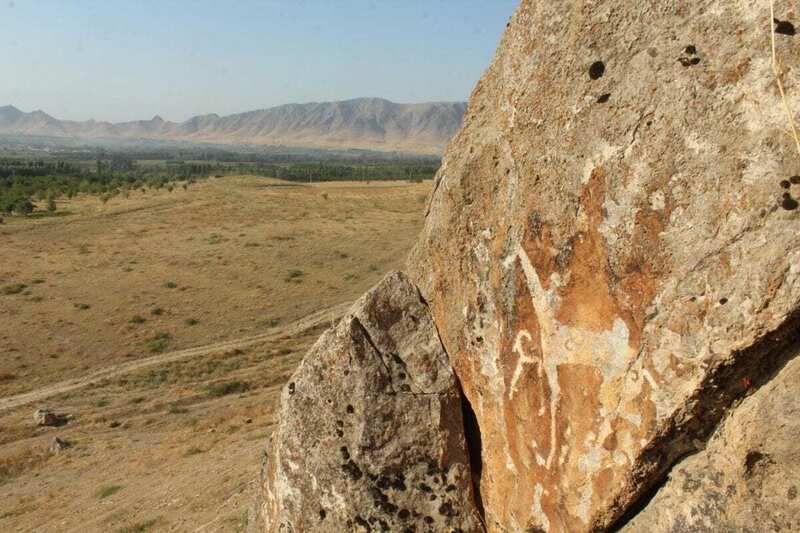 With this technique, Dr. Taylor and his colleagues discovered that people living in the Alay Valley began herding sheep, goat, and cattle by at least 4300 years ago. Combining their work with ancient DNA research at France’s University of Toulouse, they also found that in later centuries, as Silk Road trade flourished across the region, transport animals like domestic horses and Bactrian camel became increasingly significant in Alay. Their results are published in PLOS ONE.